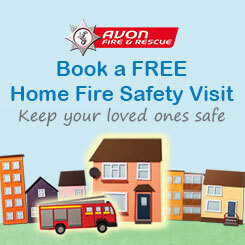 Avon Fire and Rescue Service’s (AF&RS) mission is to provide the highest standard and best value service to the community. Key to providing this is having the best people you can employed in your organisation, and clearly understanding what the job you’re doing is. Ensuring Diversity, Inclusion, Cohesion and Equality (DICE) is at the heart of our decision-making helps us to achieve both of these. Diversity: Acknowledging the fact everyone is different, and has different experiences, skills and needs. Equality: Giving everyone equal access to an opportunity. DICE isn’t about treating everyone the same. Having a diverse workforce and population we serve means some people need more support than others to have equal access to an opportunity. For example, we fit specific smoke alarms for those who are deaf or have a visual impairment. Providing these people with standard smoke alarms (treating them the same) would put them at risk, so by changing how we provide a service we are giving them equal access to the opportunity – the opportunity of staying safe in their home. These are called ‘protected characteristics’, and you can find more out about them on the Equality and Human Rights Commission website. This is not an exhaustive list however, and we ensure we take into account many other types of diversity in our decision-making. Our aims are to prevent fires, non-fire emergencies including road traffic collisions and false alarms. We also work hard to reduce the risk of death and injury by providing safety advice and guidance to businesses and individuals. We work within four Unitary Areas: Bath and North East Somerset, Bristol, North Somerset and South Gloucestershire, and serve a diverse population of over 1 million people. Understanding communities therefore is key, and people who have lived in and reflect the diversity of those communities are often better placed to understand their needs and can engage with them more effectively. Our work is often done in challenging environments and we ask for trust from the public, and being asked by someone who looks or sounds like you can help overcome many initial barriers or concerns quickly. There is also a growing body of evidence that having more diverse teams can bring many benefits, such as innovative ways of thinking and increased productivity. It is also important to embrace DICE so our employees can be happy and healthy. Concealing aspects of your diversity such as your sexual orientation or religious belief can put a huge mental strain on a person, and creating a workplace which is accepting of diversity ensures people do not need to suffer that stress.